Three words. 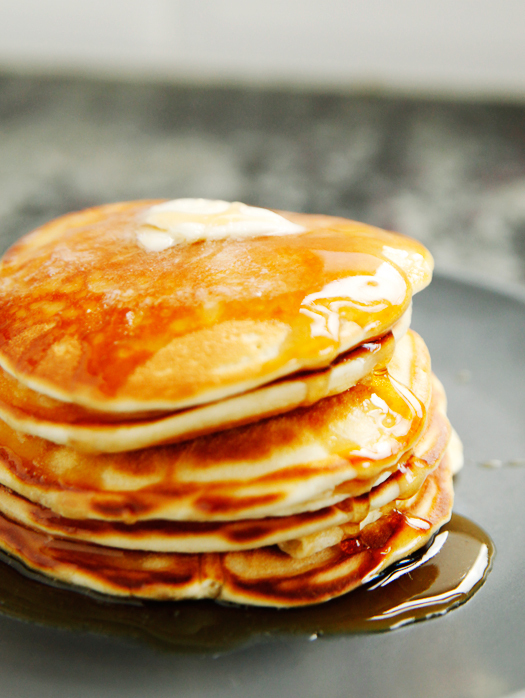 Homemade buttermilk pancakes. As a recovering boxed pancake mix addict, I’ll be quite honest. I think boxed pancake mixes have a more consistent flavor and texture than many homemade pancake recipes I’ve tried and tested from magazines, cookbooks, and the internet. Time and time again I would experience such disappointment with these recipes that I preferred to use packaged mixes because I wanted certain results. I’m not sure why I’ve never shared this recipe with you for perfect and fluffy pancakes because I’ve been making these for years. None the less, I’m sharing them with you now. Better late than never. The recipe calls for mixing the batter using a blender. I have found through experience that smooth batter makes the best batter contrary to what others believe. I’m not here to debate someone regarding the merits of whisking by hand or using a blender. I’m just telling you that I have made pancakes at least a hundred times in the last couple years and using a blender gives me superior results. If you don’t have buttermilk, you can substitute half milk and half sour cream -slightly different texture but super good. Enjoy! Blend the wet ingredients first before adding the dry ingredients. 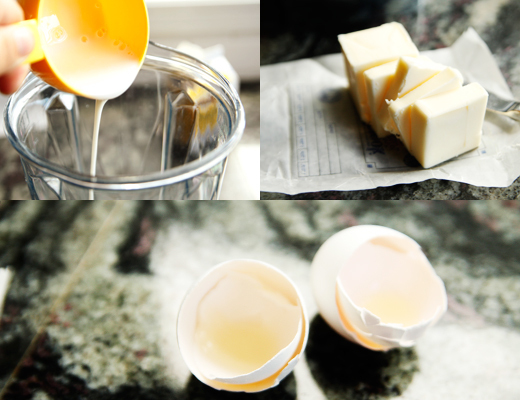 You want your batter to be completely lump free and absolutely smooth. The batter should be as thick as honey. 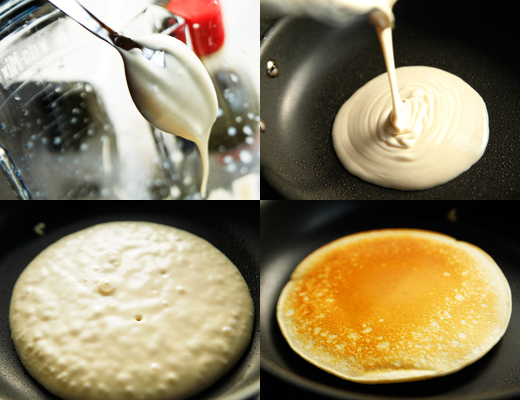 Non-stick surfaces with the help of cooking spray work the best for cooking pancakes on the stove. You want to make sure the pancake is slightly bubbly on top before flipping the pancake over to a perfectly golden brown surface. Don’t forget the butter, glorious butter. 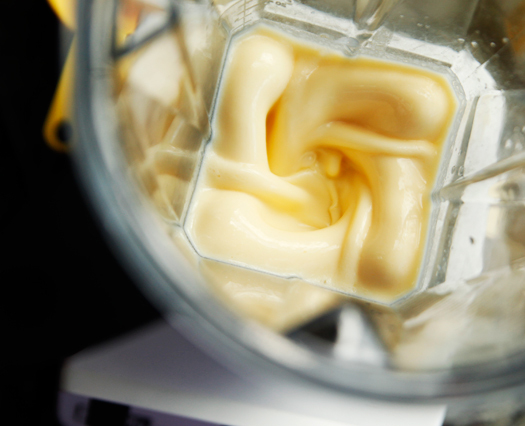 Blend the buttermilk, eggs, butter, and vanilla in a blender at a medium - low speed until well combined. Slowly add the flour, sugar, baking powder, baking soda, and salt. Continue to blend until the batter is thick and smooth. Pour ⅓ cup of the pancake batter onto the pan. Watch for the pancake to form bubbles on the surface and the griddle side of the pancake golden. If you don't have a blender, all the ingredients can be whisked in a bowl until the batter is smooth. Best pancake recipe ever. 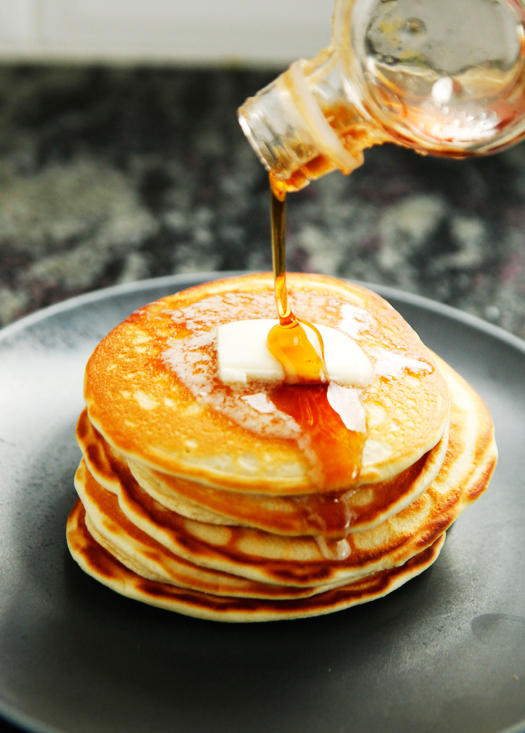 I have made a lot of pancakes in my life and this recipe makes perfect pancakes every time! Wow! We just ate too many of these heavenly fluffy cloud like pancakes. Noway can a box mix come close to this recipe. 5 stars ! I made these today, they were perfectly delicious! I doubled the recipe and added extra vanilla, YUM! I too love using my blender for pancakes, have done it for years! Besides a more consistent texture, it is less of a mess and less clean up by using a blender. Thank you for a wonderful recipe!